Pair of vintage Spanish wrought iron and mica inset wall sconces. 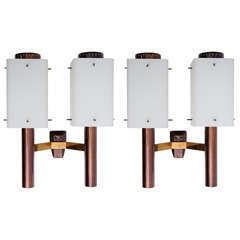 The sconces are all wired and in working condition. 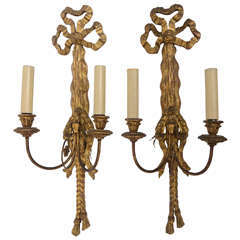 Pair of Italian wrought iron gilded sconces in a red painted finish. 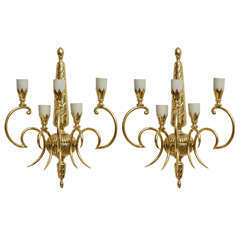 The sconces also feature mirrored backs and two arms for candles, circa 1930-1950. 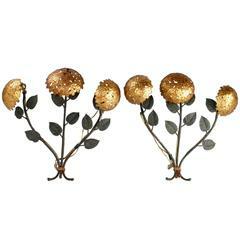 2 French 1960s hand-painted wrought iron wall sconces.